1 New England Ancestors Magazine, 2000, Vol. 1.2, p. 40, New England Historic Genealogical Society (Online Database). 2 Roberts, Gary Boyd, The Royal Descents of 600 Immigrants to the American Colonies or the United States , Baltimore: Genealogical Publishing Co. (2008), 573. 3 Roberts, Gary Boyd, The Royal Descents of 900 Immigrants to the American Colonies, Quebec, or the United States (2 vols.) , Baltimore: Genealogical Publishing Company (2018), 923. 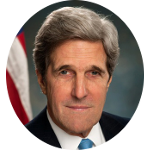 4 Wikipedia, "John Kerry", (accessed 08/10/2015).